2009 Catholic Press Association Award Winner! The magnificent text treatments found within The Saint John's Bible were created to honor some of the most cherished prayers and wisdom texts of the Bible. With unique calligraphy and colorful embellishments, these text treatments give life to the passages they reveal. A collection of these glorious portrayals of our faith can now be found in the new book, Praying the Word: Illuminated Prayers and Wisdom from The Saint John's Bible. This exquisite treasury follows the tradition of lectio divina and serves as a companion for personal prayer and meditation. 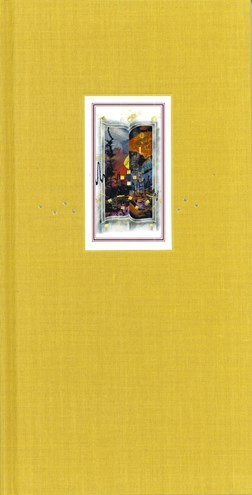 The beautiful hardcover design features a cloth finish with ribbon bookmark. Praying the Word embodies the significance of prayer life and makes a wonderful gift at confirmations, weddings, and other special occasions in the lives of family and friends. Everything about this book bespeaks art, from the representation of the biblical texts to the rich yellow cloth cover and sleeve. It will be prized by its owner, and would also make an exquisite gift. [A] rich experience of both lectio divina and visio divina.